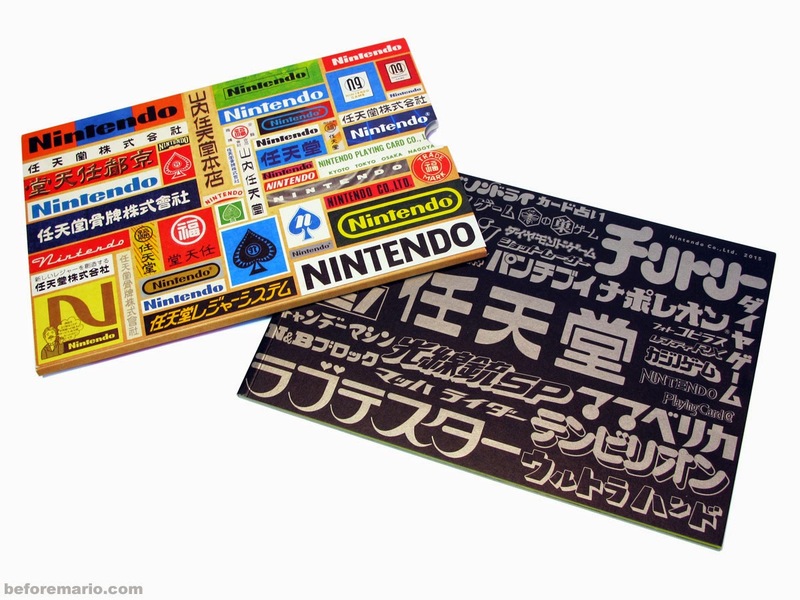 Following on from 2014’s beautiful Hanafuda-inspired design, Nintendo have once again gone above and beyond with the design for their company guides, guides presented by Nintendo of Japan to their new employees, providing them with an overview of both the company’s recent achievements, as well as their diverse history in the often forgotten era before they made games. This year holds especially true to this, showing off the traditional playing-cards, mahjong sets, and of course Hanafuda cards produced by Nintendo back in the early 20th century; even the original Nintendo card mascot Napoleon makes an appearance! Yep, you heard me right; historical supposed short man Napoleon Bonaparte is the mascot for Nintendo cards. I know, I know, you’re thinking exactly what I’m thinking; why isn’t he in Smash Bros. yet? Better get on that fighter ballot right now! But it’s not just the classics that are getting the coverage; even the as-of-yet unreleased Splatoon has a double page spread dedicated to it, showing off some concept work that makes me pray for a hopeful art-book release one day. Mario Kart 8 and Captain Toad: Treasure Tracker are among the other recent releases, with great scrapbook style collages showing everything from unused disc artwork to photos of the dev team coming up with the ideas, giving us a rare look inside the normally secretive world that goes on inside Nintendo HQ; probably explains why it’s an internal document. 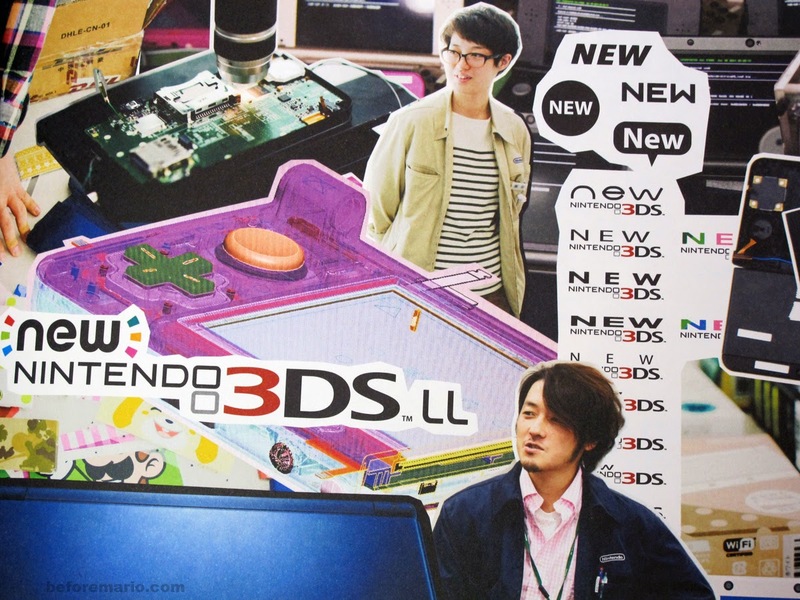 We even get a look at some unused logos for the New Nintendo 3DS. As you can see below, the whole thing concludes with a touching line that certainly has applied to me, and I imagine applies to many of you. 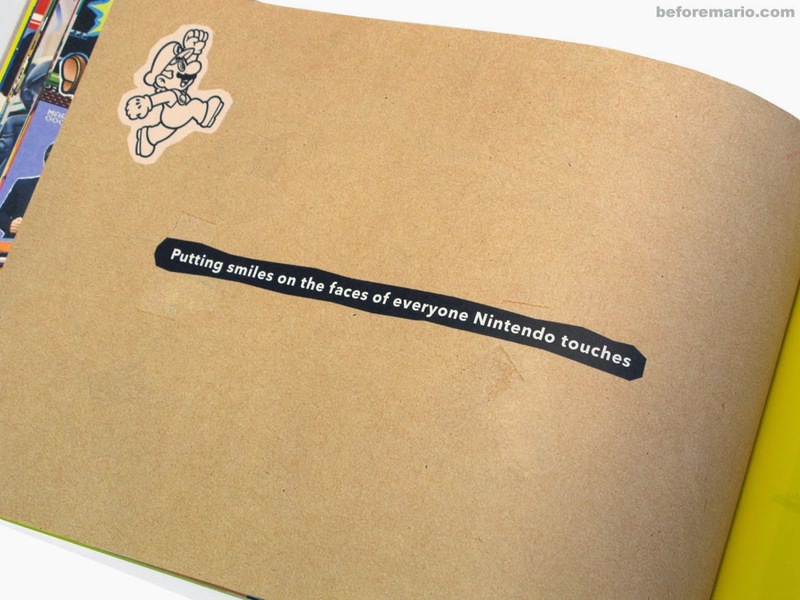 Even something as simple as a company guide has that trademark Nintendo level of quality. There’s a bunch of even more cool stuff in there, including production-line pics of Amiibo, a double-page spread on Shigeru Miyamoto’s work, and even some cheery-looking factory workers. You can check it all out and much much more over at BeforeMario! All images kindly provided by BeforeMario. If you want to learn more about Nintendo’s pre-game making days, then go and check them out! This entry was posted in Books, Games Culture and tagged Books, Games Culture, Japan, Nintendo, Shigeru Miyamoto. Bookmark the permalink.